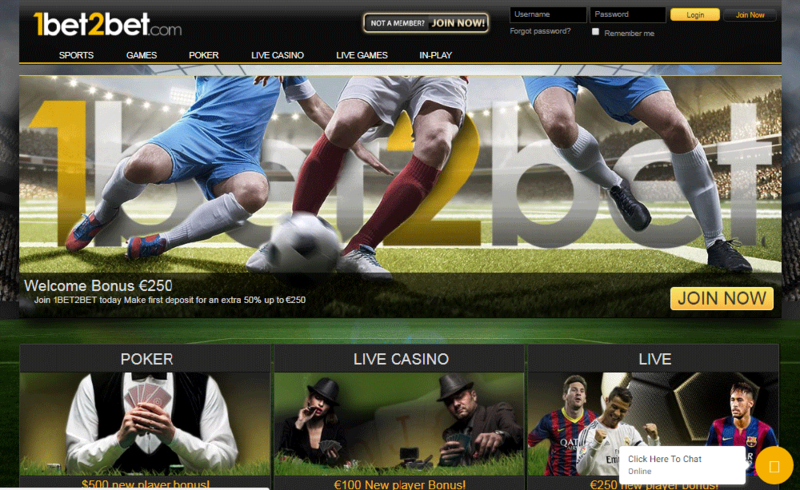 1Bet2Bet offers online sports betting in several languages. We make our customerís betting experience a most enjoyable one, we continually innovate and keep our eyes open for changes in the sports betting industry. This site is proof of our commitment to offer our customers the very best online service. On this site you will find an enormous variety of betting options for all of the major sports fields, including soccer, basketball, hockey, football, baseball, boxing, motor sports, etc.